Armstrong appeared on the first weekly Total Nonstop Action Wrestling pay-per-view on June 26, 2002 alongside fellow National Wrestling Alliance veterans Corsica Joe, Dory Funk, Jr., Harley Race, Jackie Fargo and Sarah Lee. His next appearance was on the August 14, 2002 pay-per-view, where he was introduced as an on-screen authority figure and informed Jeff Jarrett that he would face a mystery opponent one week later. 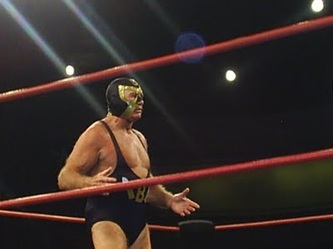 The mystery opponent was revealed to be "The Masked Bullet", a masked wrestler who imitated Armstrong's mannerisms (although Armstrong himself came to ringside during the match, proving that he was not the Bullet). On the August 28, 2002 pay-per-view, Jarrett fought the Bullet to a no contest before striking Armstrong with a chair. 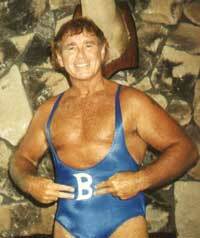 On the September 18, 2002 pay-per-view, the Bullet unmasked, revealing himself to be Armstrong's son Brian. On the December 3, 2005 episode of TNA Impact!, Armstrong returned to Total Nonstop Action Wrestling, congratulating the newly formed Four Live Kru on their unity. However, at Turning Point on December 11, 2005, the Four Live Kru disintegrated, with Konnan betraying fellow members Kip James and B.G. James (the youngest son of Bob Armstrong). Armstrong declared that he would reunite the Kru and unsuccessfully petitioned the fourth former member, Ron Killings, to that effect on the December 24, episode of Impact!. One week later, Armstrong tried once more to reform the group, this time approaching Konnan. Apparently willing to negotiate, Konnan led Armstrong backstage, only for Armstrong to be ambushed and beaten down by Konnan's newly formed stable, The Latin American Exchange (LAX). Footage from Armstrong's knee surgery from earlier that month aired on iMPACT! in January 2006, with the kayfabe explanation that the assault at the hands of the LAX had necessitated the surgical repair of Armstrong's knee. At Against All Odds on February 12, 2006, Kip and B.G. James (The James Gang) faced the Latin American Exchange, with B.G. intent upon avenging the harm done to his "daddy". The James Gang was victorious, but ambushed by the LAX after the match. They were saved when the returning Bob Armstrong entered the ring and chased LAX away. 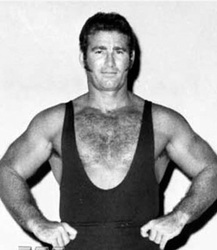 The confrontation led to a six-man bout between LAX and Armstrong and The James Gang at Destination X on March 12, which was won by Kip James. Despite the two consecutive victories, Armstrong remained hungry for revenge, and challenged Konnan to an arm wrestling contest on the April 8 Impact!. The contest did not finish due to interference from Homicide and the newest LAX member, Hernandez, who had been sent to the locker room prior. The James Gang (also sent backstage) ran in to help Armstrong. This led to a rematch at Lockdown on April 23, in which Armstrong scored the pin. This was his final appearance with TNA. On the January 18, 2008 Impact!, B.G. chose Armstrong as his tag team partner for his Feast or Fired Tag Title shot. The two lost the championship match. A retirement show was held on May 29, 2009 at The Dothan Civic Center where many past stars came out to honor Armstrong before his main event match in the main event.